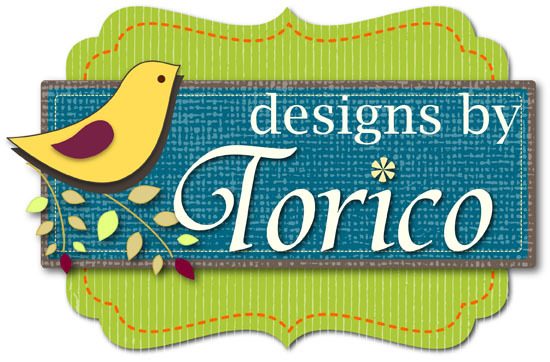 Last month at There She Goes, we released the CUTEST set by Torico, Cute as a Button. This month, we have it’s PERFECT companion – Stitched With Love! 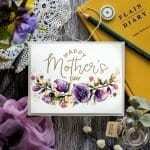 Full of additional images and sentiments, whether used separately, or together, no matter what you create, Stitched With Love will be PERFECT. 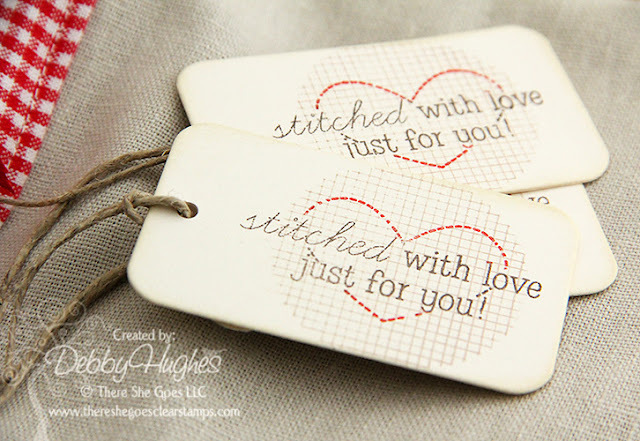 Stitched With Love is a 4×6 set that includes a total of 24 stamps and will sell for $15.00. The set came to me at the perfect time as I had to make my daughter a little drawstring pouch to take away with her camping. My sewing machine has a good layer of dust on it these days but I got it out of its slumber and set to work using a natural fabric with a strip of gingham to set it off. 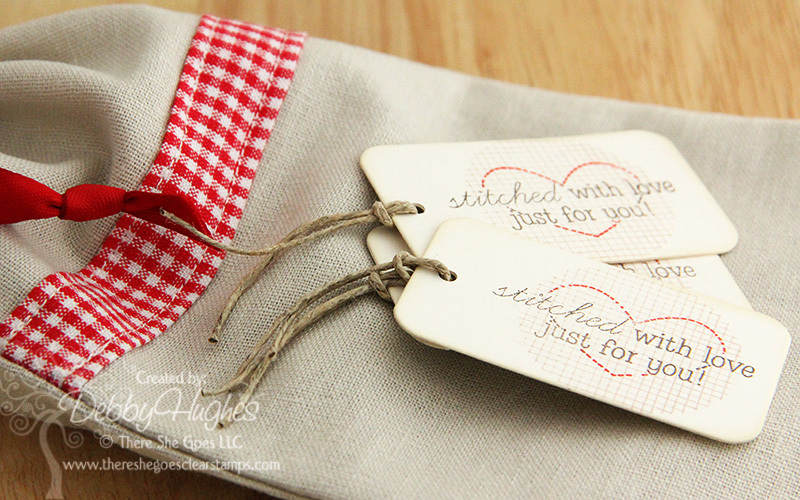 Then I got out my stamps and inks and made a tag to attach to my little creation. Then because I liked it so much I made a couple more to keep for the next time my sewing machine sees action! 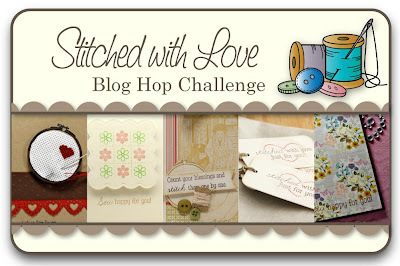 Would you like to win the new Stitched With Love stamp set? Here is what you need to do – visit the Trendsetter’s blogs that are participating in each of the blog hop challenges below and comment on their creations as you go. One of the Trendsetter’s blogs (from each hop day) will be randomly chosen as the ‘it’ blog and a winner will be picked using a random number generator from the comments left on that Trendsetter’s Blog Hop Challenge post. Great tags. Can’t wait to see the rest of the set! Gorgeous bag, love the gingham. The tags are perfect too! You are a super sew-er!!! Fabulous bag and the best sentiment for the card that goes along with it! Those tags are adorable. Great idea. What a fabulous idea Debby! Lovin’ this new stamp set! love your tags! perfect with the fabric and dash of red! super cute tags. love the burlap bag.